Congrats me with completing first route of Fate/Stay Night! Thanks suemura for the glorious scan! I love it! I wish I had your patience and your skills, because it's totally awesome! If a mod sees this, I hope he (or she :P) will grant you the blue thing. The vector is really stunning, because it looks simple and yet it is very effective with all those details and strong shadows. A very good looking wallpaper, thank you ! 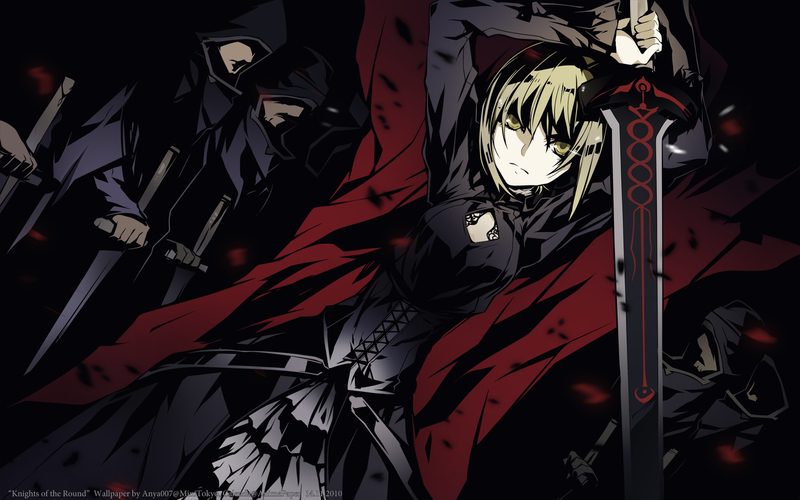 love saber's pose here... a dark wall fits every desktop! it's been a long time since i saw a good fate wallpaper. thanks! nice colouring, peculiar looking, but nice and attractive. I LIKE BLACK COLORS!SABER MY LOVE! nice edit, saber alter always looks much better, thanks. Wow. That's rare. Saber looks dark in this wall. Hehe. Thanks for the awesome hard work you had poured in. +fav.